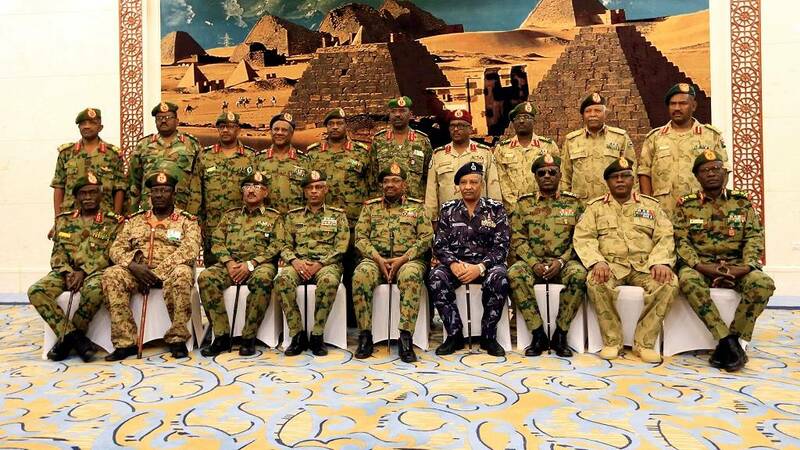 African leaders meeting in Cairo on Tuesday agreed to give Sudan’s ruling military council three months to implement democratic reforms, amid pressure for a quick handover of power to civilians. 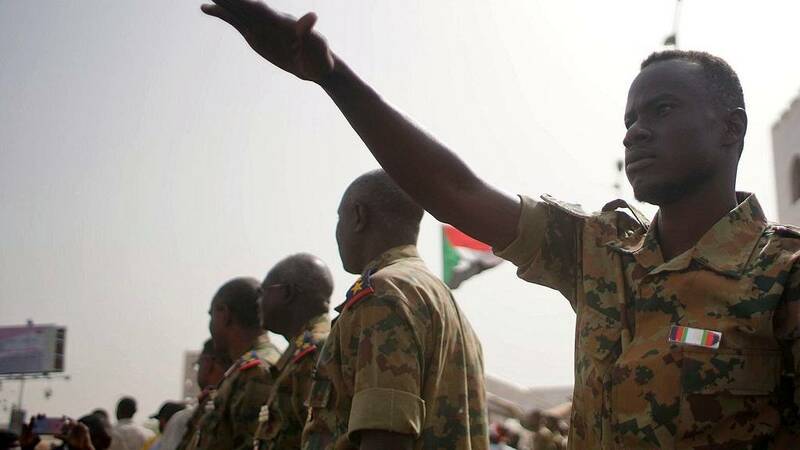 The decision extends a 15-day deadline set by the African Union last week for Sudan’s Transitional Military Council (TMC) to hand over power to civilians or to be suspended from the grouping. The TMC took over after President Omar al-Bashir was ousted on April 11. Any suspension of Sudan’s AU membership could affect the TMC’s efforts to win international recognition as the country’s legitimate rulers during an interim period of up to two years, and thus delay any aid to the country that has been trying to cope with a dire economic crisis. The TMC has been under pressure from demonstrators to hand power rapidly to civilians since the military ousted Bashir following months of protests against his 30 years in office. Speaking at the end of a summit attended by several African heads of state, Sisi said that the meeting agreed on the need to deal with the situation in Sudan by working to “quickly restore the constitutional system through a political democratic process led and managed by the Sudanese themselves”. Sisi, who holds the rotating African Union presidency, said that the African Union Commission Chairman Moussa Faki Mahamat had briefed the meeting on his recent talks in Khartoum. “We agreed on the need to give more time to Sudanese authorities and Sudanese parties to implement these measures,” Sisi told the meeting. A Sudanese and a Western diplomat head had earlier said that the TMC wanted a period of three to six months to continue its discussions with protesters and opposition groups to hammer out an agreement on how to run the transitional period. The TMC has resisted pressure to hand power to civilians, but has said it was ready to accept a civilian government of technocrats to run the country during an interim period of up to two years that would prepare for a presidential election. But protesters say the proposal would leave ultimate power in the hands of the military, demanding that the ruling council be staffed by civilians with military representation. The United States has reiterated its call for the military to handover power to a civilian-led transition body saying they supported what the Sudanese people wanted. 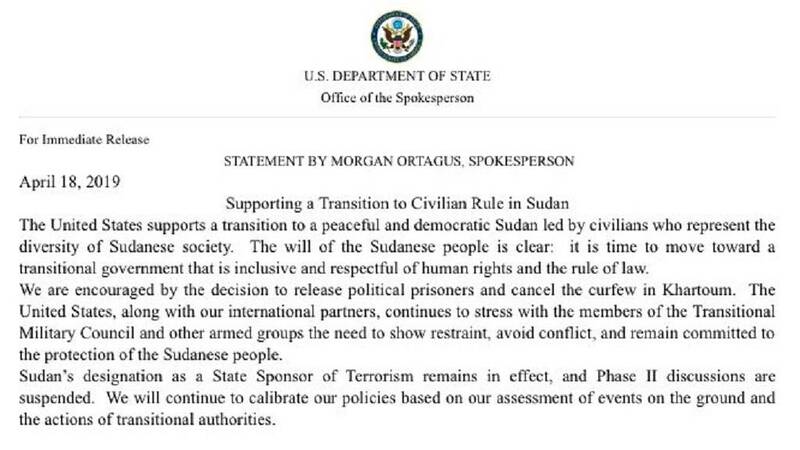 Its latest statement on the post-Bashir crisis was issued by the Department of State on Thursday – the same day that a massive protest rocked the capital, Khartoum. In the course of this week, the African Union has given a stern warning to the Transitional Military Council over possible expulsion from the continental bloc. Deposed president Omar al-Bashir has been transferred from detention into a maximum security jail, Kobar, located in the capital, Khartoum. Reuters reports that he is being kept in solitary confinement under heavy security. A family relation confirmed the development to the AFP News agency. It is the most significant news on the former leader since he was ousted last week by the military. The military on Monday dismissed reports that he could be handed over to the International Criminal Court, ICC. Meanwhile, the Transitional Military Council, TMC, continues to engage protest leaders on a way forward in post-Bashir Sudan. The pressure to transfer power to a civilian government meanwhile continues. The African Union after an April 15 expulsion threat by its Peace and Security Council reiterated its position when its head Moussa Faki Mahamat met with a TMC delegation yesterday, April 16. Leader of the TMC, Abdel Fattah Burhan on the same day met with special envoys from the United Arab Emirates and Saudi Arabia – the two Gulf nations have pledged support for the people of Sudan. “Chairman of the Transitional Military Council, praised the distinguished relations between the Sudan, Saudi Arabia and the United Arab Emirates and the eternal ties that bind their peoples,” state-run SUNA agency said on Twitter. They added that a message of support had also come from Egypt, whose president Abdel Fattah Al-Sisi, currently chairman of the African Union, AU, has said he was ready to visit Sudan in the coming days. Sudan’s Foreign Ministry is appealing for international support to back the military rulers who took power after ousting long-serving president Omar al-Bashir. “The Ministry of Foreign Affairs is looking forward to the international community to understand the situation and to support the transitional military council … in order to achieve the Sudanese goal of democratic transition,” its statement said. The military said last week that it was due to operate a two-year- transition after which it would hand over power to elected representatives. Bashir’s last Defense Minister was sworn in as leader of the military transition council but in less that 48-hours Awad ibn Auf resigned his position giving way to a new leader in Abdelfattah Burhan Abdelrahman, a former inspector general of the army. Protesters meanwhile continue to pile pressure for an immediate return to civilian rule. A former intelligence chief also announced his resignation yesterday in what is seen as part of protester demands. The leader of the Rapid Support Forces/Janjaweed, Mohamed Hamdan AKA Hemedti pictured with US Charge d'affaires for Sudan Steven Koutsis. Hemedti is now the Vice-Chair for the High Council for Armed Forces – number 2 in the country. After three decades in charge, Sudanese president Omar al-Bashir has been forced out of office after months of unrelenting protests. The move was orchestrated by the military. Reports indicate that the former president is currently detained and being held in a safe place. The military have announced a raft of measures to rein in protesters. The protesters despite celebrating the fall of Bashir which was the main plank of their movement which started in December 2019 have rejected what they say is a military takeover. Who took power? The Supreme Military Council. What is the status of Omar al-Bashir? Arrested, being kept in a safe place. The 2005 consitution has been suspended along will all its appointees – president, parliament, cabinet etc. Current law: A three-month state of emergency. Political transition period: Slated to last 2 years. Who made announcements? Defense Minister. Other measures: All border crossings closed and airspace closed for 24-hours. Defence Minister Awad Mohamed Ahmed Ibn Auf (L), an ex-military intelligence chief is sworn in as first vice president in front of Sudan’s President Omar al-Bashir during a swearing in ceremony of new officials after Bashir dissolved the central and state governments in Khartoum, Sudan February 24, 2019. 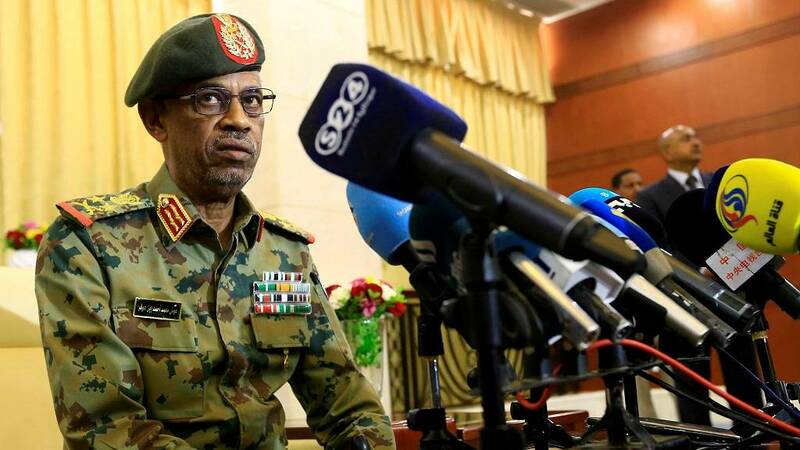 Defence Minister Awad Mohamed Ahmed Ibn Auf, an ex-military intelligence chief talks to the media after being sworn in as first vice president during a swearing in ceremony of new officials after Sudan’s President Omar al-Bashir dissolved the central and state governments in Khartoum, Sudan February 24, 2019. Sudan state TV on Wednesday (April 10) aired footage of President Omar al-Bashir chairing a meeting of the country’s Supreme Commission for National Dialogue as anti-government protests calling for his resignation continued. Sudanese TV reported the meeting took place on Tuesday (April 9). The commission thanked Bashir’s government and the national security services for their work in handling the protests in a statement released following the meeting, Sudanese TV reported. Sudan’s opposition party said on Tuesday around 20 people were killed and dozens wounded in dawn attacks on a sit-in outside Sudan’s defence ministry by protesters calling for Bashir to step down. Sudan’s National Intelligence and Security Service tried twice to disperse the protesters early on Tuesday, breaking into the area using pickup trucks, witnesses said. Since December 19, Sudan has been rocked by persistent protests sparked by the government’s attempt to raise the price of bread, and an economic crisis that has included fuel and cash shortages. Soldiers came to the rescue of protesters in Khartoum on Monday when a section of the security forces fired tear gas to break up a three-day rolling sit-in by protesters. Starting Saturday (April 6) thousands of protesters have camped outside an area in the capital housing the army headquarters and close to the presidential palace. They are demanding that the army joins their call to force embattled president Omar Al-Bashir out of office. After what was a failed attempt to disperse the crowd, they are currently surrounded at the premises, reports said on late Monday. The interior ministry confirmed that six people died in Khartoum, during protests over the weekend. Over 50 others were injured and almost 2,500 demonstrators were arrested. Thousands of protesters held a sit-in outside Sudanese President Omar al-Bashir’s residence in central Khartoum on Sunday, having camped there overnight following the biggest demonstration in months of protests against his 30-year rule, witnesses said. At least one person died on Saturday during “rioting” in Omdurman, Khartoum’s twin city, state news agency SUNA said, without giving details on the cause of death. Sudan has seen months of mostly small but sustained protests against Bashir’s rule in which dozens of demonstrators have been killed. Security forces have used tear gas, stun grenades and live ammunition to disperse protests, witnesses have said. Bashir has refused to step down, saying that his opponents need to seek power through the ballot box. Since the sit-in began on Saturday, security forces tried several times to clear the protesters from the compound’s vicinity using tear gas, including on Sunday morning, but thousands remained. Apparently emboldened by the success of similar but much larger protests in Algeria which forced ailing President Abdelaziz Bouteflika to step down last week, Sudanese activists called for Saturday’s protests to mark the anniversary of the 1985 military coup that overthrew autocratic president Jaafar Nimeiri following mass protests against his rule. The protesters urged the military to side with them once more in their bid to push Bashir out of power. Apart from Bashir’s residence, the compound, the most heavily-guarded in Sudan, also houses the Defence Ministry and the headquarters of the powerful National Intelligence and Security Service. March 14: Bashir hints of dialogue? 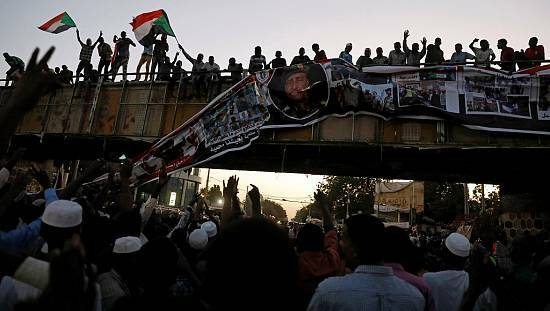 Six protesters arrested in the city of Omdurman have been sentenced to six-months by a Sudanese court, the AFP news agency reports. The sentence was handed down by an emergency court on Monday. 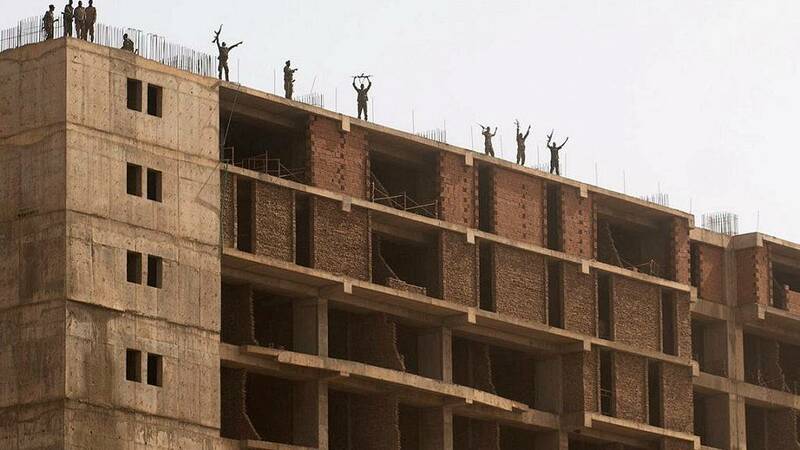 “The six were accused of causing disturbances,” Police Spokesman General Hashim Abdelrahim told AFP. 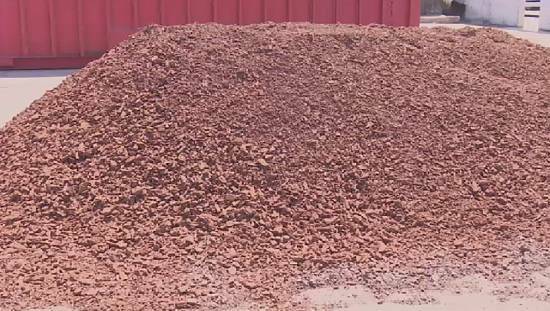 The report added that each of the convicts were also fined 1,500 Sudanese pounds ($31). 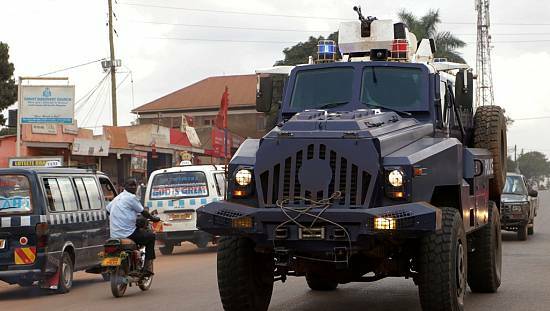 The country is under a state of emergency aimed at quelling anti-government protests that kicked off late last year. Meanwhile, dozens of journalists marched in Khartoum on Monday to demand an end to a crackdown on press freedom amidst the most sustained challenge to Sudanese President Omar al-Bashir since he took power in a 1989 coup. Protesters have been taking to the streets frequently across Sudan since Dec. 19. The protests were initially triggered by price rises and cash shortages but evolved into demonstrations against Bashir and his National Congress Party. Monday’s protesters carried a large banner that read “Free press or no press” as they walked down a main street in the Sudanese capital. They chanted “journalism is the voice of the people” and “the revolution is the choice of the people”. Since the wave of demonstrations began, 90 journalists have been detained, according to the Sudanese Journalists’ Network, an anti-government group of journalists that organised Monday’s protest. Most have since been released, the group said. The Committee to Protect Journalists (CPJ) says the number of arrests is unprecedented, but that it is impossible to give an exact figure because journalists have been arrested then freed, with this happening to some more than once. The CPJ has also said that Sudanese authorities have tried to censor news coverage of the protests and that they have blocked access to popular social media platforms. Othman Mirghani, editor-in-chief of the independent newspaper al-Tayar, and one of Sudan’s most prominent journalists, was arrested at his Khartoum office on Feb. 22, the same day Bashir declared a state of emergency, his family said. He was detained shortly after a televised interview in which he criticized Bashir’s declaration of a state of emergency, according to relatives. They said Mirghani remains in custody, but has still not been charged. The Sudanese information ministry told Reuters that the state of press freedom in Sudan is good. He added that his ministry has requested information about the reasons behind Mirghani’s arrest and that he will be meeting the director of the National Security and Intelligence Service on Tuesday to discuss Mirghani and other issues. Bashir last month also dissolved the central government, replaced state governors with security officials, expanded police powers and banned unlicensed public gatherings. That has not deterred protesters from staging regular rallies. Sudan’s president, Omar al-Bashir on Thursday reduced the maximum jail term for violating the country’s state of emergency from 10 years to six months even as protesters continued staging rallies against his rule. Bashir had initially announced that any violations to the state of emergency, especially participating in banned rallies, were punishable with a jail term of up to 10 years. But on Thursday he issued an order that the maximum jail term for such violation would now be up to six months. Even as Bashir’s new orders were announced, crowds of protesters staged rallies in the central town of Al-Obeid and in areas of Khartoum and Omdurman, the twin city of the capital across the Nile, witnesses said. In a separate order he also appointed the acting chief of his ruling National Congress Party, Ahmed Harun, as a presidential aide. A statement from the presidency on Thursday also banned hoarding of the Sudanese pound and “speculation” on the currency. Under the new rules announced by Bashir’s office, individuals are not allowed to store more than 1 million Sudanese pounds ($21,000) outside the banking system. 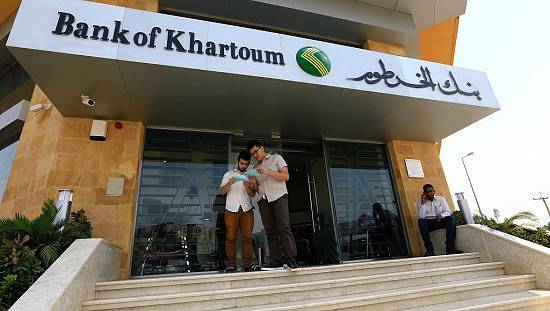 Entities are banned from storing more than 5 million Sudanese pounds and are not allowed to store amounts “that are not commensurate with the scale of (their) activity”, the statement said. Bashir’s order, made in an emergency decree, also banned the counterfeiting of any currencies, as well as the possession, transportation or storage of counterfeit currencies and any tools used to produce counterfeit currencies. It further banned all providers of goods and services from accepting payments via bank cards or cheques. Any violators of the decree, in addition to punishments in any other breached laws, would face a minimum of six months in prison and a maximum of 10 years, as well as a fine. The main protester organizers in Sudan uprising, the Sudanese Professionals Association, SPA? said on Sunday that it had noted a reprieve in media operations after banned newspapers were allowed unto the stands. “In a poorly-directed play, the Sudanese security and intelligence service allowed some newspapers to be released after harsh prevention measures that deprived them from circulation for more than 70 days,” SPA said in a tweet. They listed some of the newspapers as: Al-Maidan, Akhbar al-Watan and Al-Baath. SPA said what was important was for government to release all detained journalists. They claimed that most of the detained journalists were being subjected to abuse by authorities. They slammed the government further for gagging media personnel – local and foreign. State actors banned the publications from circulation in January, most of them over their reportage of the uprising. It was around the same time that government banned foreign journalists who were also reporting on the protests. Bashir, facing the most sustained challenge to his rule since he took power in a military coup three decades ago, promised during a swearing-in ceremony for a new cabinet that he would engage in dialogue with the opposition. “Securing peace and silencing the sound of the rifle is our most important priority for the country and we will communicate with the forces who reject dialogue for the sake of political stability,” these are the words of the president according to a presidency statement issued on March 14. In a cabinet reshuffle on Wednesday, Bashir appointed at least 15 new ministers. Last month he declared a state of emergency, dissolved the central government, replaced state governors with security officials, expanded police powers and banned unlicensed public gatherings. That has not stopped the protesters, who have held several demonstrations since the new measures came into effect. As part of the emergency measures, courts have been trying protesters in evening sessions, sparking more rallies outside court buildings. Even as protests and acts of defiance continue at home, the pressure on government is set to be applied outside the shores of the country according to lead activists. 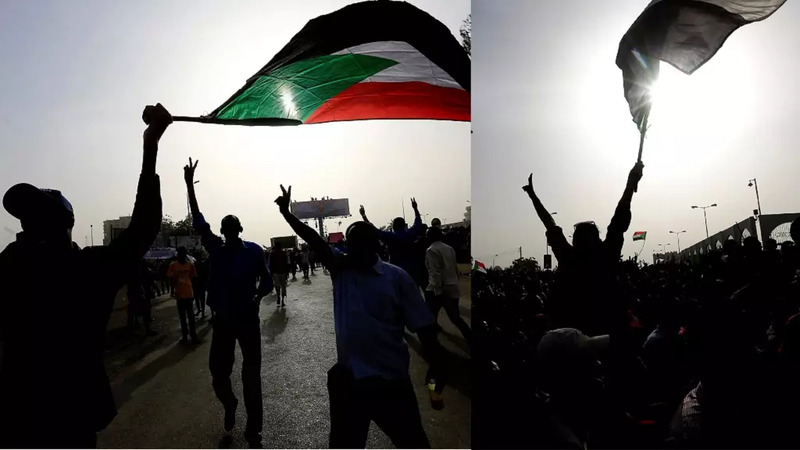 The Sudanese Professionals Association, SPA, disclosed on social media that plans were afoot for protests in the diaspora. Among others across cities in the United States and Europe – Germany and the United Kingdom. Activities of Sudanese expatriates abroad in New York-USA at the United Nations Headquarters: A demonstration condemning the emergency laws and violations against Sudanese women. Washington, USA: To celebrate International Women’s Day in faith in freedom, change and democracy. Alexandria VA, Philadelphia-USA at Sudanese Community House | Poetry evening, loyalty of the martyrs of freedom and prisoners of conscience. The National Assembly For Wales, Cardiff Bay, Cardiff, UK. SPA, the organizers posted photos of social shutdown as called for Wednesday, March 13. They are yet to announce the next line of action. Refraining from working in government offices and institutions. Refraining from paying statutory dues such as taxes and utility bills. Working to achieve a shutdown of transport routes – road, port, railways. Refraining from dealing with governmental interests and non-cooperation government agents. Boycott goods and services produced or provided by productive or service enterprises wholly or partially owned by the state. Nine women arrested for protesting have been released by a court on Tuesday. The group were arrested last Thursday during protests before they staged a hunger strike on March 8, coinciding with International Women’s Day. The appeals court ordered their release despite being jailed one month and 20 lashes each. The SPA has announced that all is set for a March 13 civil disobedience as part of the wider protest plan demanding the resignation of president Omar al-Bashir. Sudan’s parliament voted on Monday to shorten from one year to six months a state of emergency declared by President Omar al-Bashir last month in response to widespread protests. Parliament can, however, renew the measure. Bashir declared the nationwide state of emergency, the first since 1999, on Feb. 22 to try to quell demonstrations that have posed the most serious challenge to his three-decade rule. Parliament’s deputy speaker Ahmed Attijani said some lawmakers objected to the state of emergency because of its implications for freedoms, particularly given Sudan is due to hold a presidential election next year. The main protest organizer in Sudan, SPA, has called a civil disobedience slated for Wednesday March 13. It is the second time such a measure is being implemented. 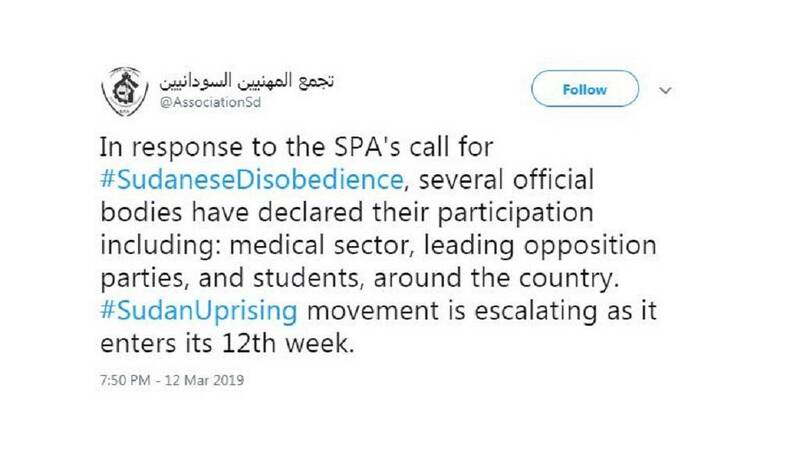 “SPA and allies have called for a one-day civil disobedience on the 13th of March as the #SudanUprising gathers momentum in its 12th week,” they wrote in a Twitter post. The first such was last week on March 5 when a nationwide strike was called and according to SPA, resoundingly adhered to across the country. These measures are still pushed through despite a state of emergency. Security forces continue to violently crackdown on the people amid arrests and jailing of protesters. Protests meanwhile continue in parts of the country. SPA shared footage of students in a university voicing their support for calls on President Al-Bashir to quit. Pressure group SPA called for a cleanup campaign today in most parts of the country. Reports indicate that the call was well received and executed. “#SudanUprising nonviolent resistance continues. Wide response to SPA and allies call for a clean-up campaign. People across #Sudan organized and participated in the campaign,” the group said in a Twitter post. It was accompanied by a collage of people engaging in the cleanup. SPA has more often called for protests since December 2018. Significantly this week, March 5, they called for a nationwide sit-down strike which they said was a resounding success. On the 7th, they called for protests in tribute to women. That was also heeded despite the heavy security crackdown that followed. Detained women went on hunger strike on Friday, March 8 which coincided with International Women’s Day. Meanwhile Sunday, March 10, has been officially declared as a protest day by the group in posts on its social media handles – Facebook and Twitter. “Women detained during #SudanUprising go on hunger strike today, coinciding with #InternationalWomensDay, in defiance and protest against arbitrary detention,” this is a post on Twitter by the Sudanese Professional Association, SPA. March 7, 24-hours to 2019 International Women’s Day was a day called by the SPA as a protest day in tribute to women. People defied security to protest against the government. It turns out that some of the women were detained in the process. SPA says these women have been beaten and also denied health care. Videos shared by a main opposition party showed female student protesters who had been teargassed being assisted after they were dispersed by the security forces. Meanwhile, protests continued in parts of the capital, Khartoum, most of them started off after Friday prayers. Friday protests have been a sort of “tradition” since the protests broke out in December 2018. An emergency court meanwhile ordered the release of eight persons who had been jailed earlier this week. The eight were asked to be released and to pay fines for breaching the law. Sudan is currently under a state of emergency with military personnel in charge of all provinces around the country. The measure was imposed to quell protests but have so far failed. 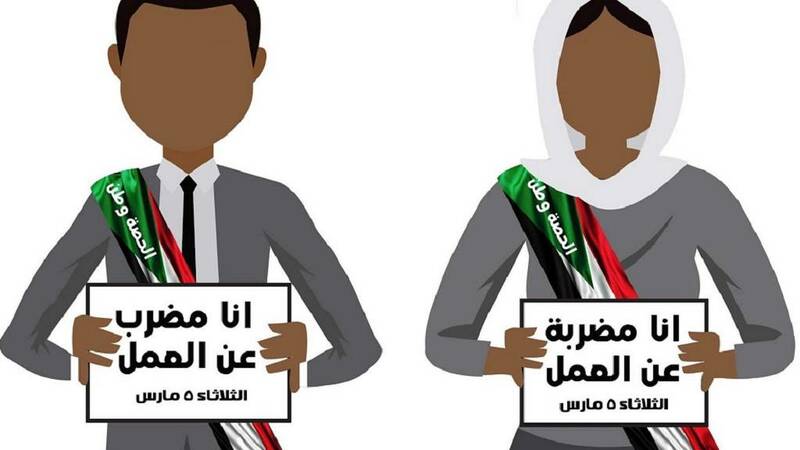 March 7 protests called by the Sudanese Professional Association, SPA, took place across the country according to reports from an online media group, Sudanese blogs. Sudanese blogs reported that a rally in the capital Khartoum took place amid chanting of anti -government slogans and calls for President Omar Al-Bashir to quit. The information was corroborated by social media content that showed university students protesting. 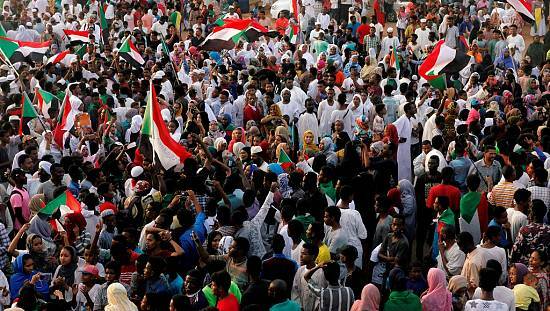 The Sudanese Congress Party, SCP, has also been sharing videos and photos from the protests. Some of the material shows students who were teargassed by security forces whiles a number of students were also reportedly arrested in the capital, Khartoum. The March 7 rallies are a ‘tribute to the women movements’ and are billed to happen at a number of rallying points across the country. The Sudanese Professionals Association, SPA, which has spearheaded anti-government protests in the country says the March 5 nationwide strike had been a success. The group posted an update today from the Network of Journalists who participated in the strike stressing that the fight against the regime continued unabated. The strike saw a complete social shutdown across much of the country. Photos shared on social media showed that offices and markets had largely been abandoned in observance of the strike. Sudan has lowered its customs exchange rate to 15 Sudanese pounds to the dollar, from a previous rate of 18, a document seen by Reuters on Tuesday showed. The cabinet also decided to discount 75 percent of storage fees for cargoes and containers stuck in Sudanese ports over the period of Feb. 1-25, according to the document which is dated Feb. 26. Sudanese businessmen had repeatedly called on the government to lower the rate to help them purchase dollars as the country faces its crippling shortage of foreign currency. The Sudanese Professionals Association, SPA, the main group behind anti-government protests in the country has called for a general strike across the country today, March 5. The body announced the measure as the latest leg of activities meant to pile pressure on the embattled president Omar Al-Bashir and his government. SPA has since December 2018 used social media platforms – Twitter and Facebook – to rally thousands for protests that started with hike in bread prices and shortage of fuel. The protesters have since switched gear to making demands for the 30-year-reigning leader to quit and allow for a political transition. Bashir has stepped down as head of the ruling party but declared a state of emergency that dissolved government and put military generals in charge of all provinces in February. Sudan’s main opposition party leader Sadiq al-Mahdi on Saturday called on President Omar al-Bashir to step down and sit with the opposition to agree on details of a transitional process to end the nation’s crisis, a statement from his party said. “You can achieve a safe exit for the country which will be appreciated by the Sudanese people and history and will transform the deep polarization into national unity and international isolation into international cooperation,” the statement said. The call comes after a week of successive measures aimed at combating an unprecedented wave of protests threatening Bashir’s three-decade rule, including declaring a nationwide state of emergency and sacking the governors of Sudan’s 18 states and replacing them with military and security officials. The statement also called on Bashir to end the state of emergency, end torture and release all political prisoners. Protests in Sudan, initially over high bread prices, have taken place nearly every day since Dec. 19 and developed into the most sustained challenge that Bashir has faced. The European Union has reacted to developments in Sudan calling for the regime to do all it takes to arrest excesses that are likely to spiral from the recently declared state of emergency. In a statement issued on February 28, the EU’s High Representative said they were monitoring the situation in Sudan. The statement called on government to release persons detained for political reasons. “The EU expects the Sudanese government to release all journalists, members of the opposition, human rights defenders and other protesters in detention. “Some of those with whom the dialogue is set to take place have been arbitrarily detained for over two months now,” the statement read in part. The Sudanese Professionals Association, SPA, which is behind the protests wrote in an update on its Twitter page that five people had been killed on Thursday and one casualty as at today March 1. March is the fourth month of continuous protests in the country. Today marks a week since the state of emergency was declared and government dissolved and reconstituted. “Regime’ forces continue to directly fire teargas canisters at peaceful protesters from close proximity. “Five protesters were injured during #SudanUprising rallies, on 28 Feb, and another one today. Many were hospitalized suffering teargas suffocation,” SPA said. The EU is closely following the situation in Sudan. Measures being adopted under the newly declared state of emergency, the increased role of the military in governing the country, further curtail fundamental freedoms and undermine the recent offer of a new political dialogue. They create a permissive climate for the security services to act with impunity against peaceful protesters. The latest attacks against unarmed students in the University of Medical Sciences and Technology and against peaceful protesters in Omdurman, are deeply disturbing. Genuine political dialogue requires an environment in which the Sudanese people can exercise their legitimate right to express their views. This will be essential to create the national consensus needed to find sustainable responses to Sudan’s deep political and economic crisis. The EU expects the Sudanese government to release all journalists, members of the opposition, human rights defenders and other protesters in detention. Some of those with whom the dialogue is set to take place have been arbitrarily detained for over two months now. An independent investigation into the deaths and abuses should be undertaken with those responsible held to account. The respect for these fundamental principles are at the core of the EU’s phased engagement with the government of Sudan. We will continue to monitor the situation and review the impact of the Government of Sudan’s actions on its relations with the European Union. In the Sudanese capital, Khartoum, other parts of the country, anti-government protests continue to roll on even as of today. The protests are in blanket defiance of a nationwide ban imposed by government. The country is currently under a state of emergency imposed specifically to quell the protests which are calling for an end to the three-decades rule of President Omar Al-Bashir. Sudanese Professionals Association, the main bloc behind the protests shared a footage of demonstrations on Zalat street in Khartoum via Facebook. Security deployed around the country are reported to have fired tear gas to disperse the protesters. Aside the association, opposition parties and other civil society groups have given backing to the mass action. Until days ago, social media was cut by the authorities who have routinely blamed it for helping gather protesters but also share gruesome crackdowns by the security forces. Sudan’s president Omar al-Bashir on Tuesday reshuffled senior military staff on Tuesday, a day after announcing sweeping new emergency measures to deal with ongoing protests. 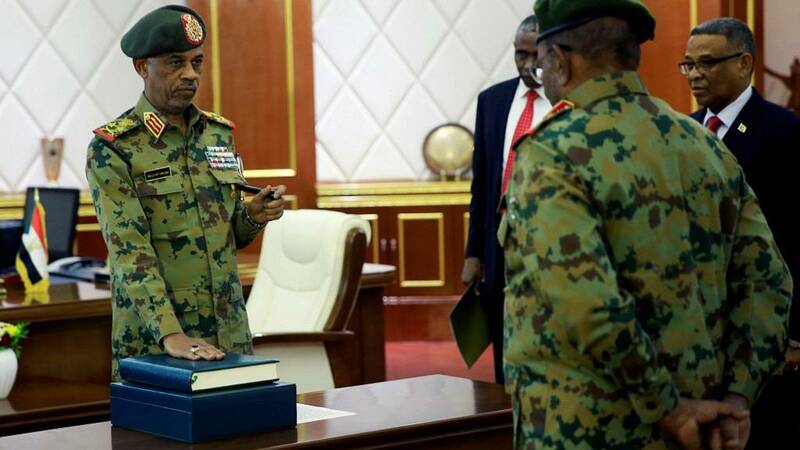 Several members of Sudan’s eight-strong military staff council switched positions and General Essam al-Din Mubarak, the former deputy head of the council, was given a new position as minister of state in the defence ministry. “These are normal, routine changes that happen from time to time,” the military spokesman said. Last week, Bashir announced a nationwide state of emergency and dissolved government. Appointed Mohamed Tahir Eila, ex- Jazeera governor, as the new prime minister. Sacked long time ally Bakri Hassan Saleh from position of vice president. Appointed defence Minister General Awad Ibnouf as the new first vice president. Appointed Mustafa Youssef as the new finance minister. Replaced all state governors with military officials. Protesters have staged almost daily demonstrations since December, demanding that Bashir, who came to power in a 1989 military coup, step down. The protests were initially inspired by high prices for bread but have turned into a sustained campaign against Bashir and his government. Western powers including the United States, Britain and France condemned the latests measures by the government to clamp down on protesters. As Bashir desperately seeks to end protests that have rocked Sudan for over three months now, the embattled president on Monday banned unauthorised rallies. This follows the declaration of a state of emergency last week on Friday. Bashir also gave the country’s security forces sweeping powers to to raid buildings where “suspicious activities were being carried out” and also search people, the presidency said. 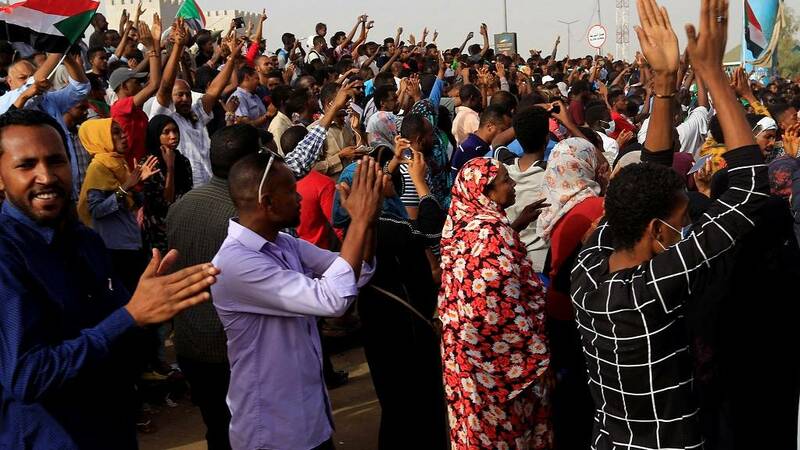 Deadly protests began on December 19 after the government tripled the price of bread and quickly evolved into demonstrations against Bashir’s rule. In the face of public anger over Sudan’s economic woes, Bashir on Monday announced measures to tackle the foreign currency shortage. The presidency said no more than $3,000 would be allowed to be carried by any individual travelling outside the country. Bashir also ordered that buying and selling of foreign currency be done only through official channels. Over the past two years, the foreign exchange market has seen high volatility, forcing the country’s central bank to devalue the local pound twice last year. Following the dissolution of government on Friday, in addition to declaration of state of emergency, president Nashir appointed Mohamed Tahir Eila as the new prime minister. Eila , who is the former governor of the agricultural state of Jazeera was sworn in on Sunday, at a ceremony, according to an AFP photographer. “Today, a new chapter begins in Sudan’s history,” Bashir, dressed in a military uniform, said at the ceremony. Defence Minister General Awad Ibnouf was sworn in as the first vice president after his predecessor Bakri Hassan Saleh was sacked by Bashir. Bashir also swore in 16 army officers and two officers from the National Intelligence and Security Service dressed in military uniforms as new governors for the country’s 18 provinces. Bashir is expected to announce an entire new cabinet as he pushes on with sweeping top level changes in the face of nationwide protests that have rocked his rule. 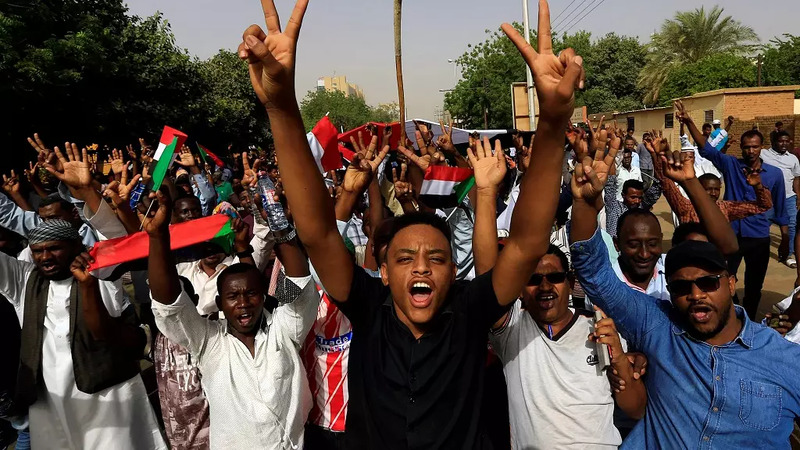 Meanwhile, protesters continued to defy the state of emergency, holding demonstrations in Omdurman city, and the Khartoum districts of Burri and Shambat. “We want to give the president a message that the state of emergency will not deter us,” said Sawsan Bashir who participated in the Omdurman rally. Riot police swiftly confronted protesters in Omdurman and Burri with tear gas, witnesses said. Protest organisers have vowed to continue with daily rallies, accusing Bashir and his officials of economic mismanagement that has led to soaring food prices and shortage of foreign currency. Sudan’s Defence Minister Awad Mohamed Ahmed Ibn Auf was appointed first vice president and will remain the defence minister, the Sudanese presidency said on Saturday. President Omar al-Bashir declared a one-year nationwide state of emergency on Friday and set up a caretaker administration but retained his defence, foreign and justice ministers. Protesters frustrated with economic hardship have demonstrated for more than two months calling for an end to Bashir’s 30-year-old rule. Bashir also replaced on Friday the governors of every Sudanese state with military officials. Ibn Auf, who previously served as the head of military intelligence, earlier this month became the second of several top officials to strike a conciliatory tone towards the protests, saying that young people caught up in the recent turmoil had “reasonable ambition”. Sudanese President Omar Al-Bashir has declared a 12-month state of emergency across the country. The declaration was made in an address to the nation at 8pm local time on Friday (February 22). The move is aimed at quelling spreading anti-government protests calling for him to leave office. Meanwhile, protesters continued their rallies in the capital Khartoum after the close of the Friday congregational prayers, Jum’ah. Bashir has stressed that he will only leave office if polls are held but the relentless protesters have also vowed to continue till he leaves. Security agencies have had a hard time controlling some of the protests. Routine reports of tear gas and discharge of live bullets have led to deaths and injuries amid widespread arrest of political opponents and journalists. Reports indicate that employees of MTN and Zain have staged sit-in protests at their offices in the country. The action is allied with ongoing protests that have rocked the government with calls for president Al-Bashir to quit after three decades in charge of the country. MTN is one of three telecom outfits operating in the country. Government has since December 2018 ordered a restriction on access to especially social media platforms. But it continues to be one of the main sources of information on the anti-government action. Facebook and Twitter have been crucial in spreading information about ongoings across the country. Varsity students in Sudan were shown protesting against the continued stay in office of President Omar Al-Bashir. They join a growing public call for the three-decades old leader to go. Protests have led to the closure of a number of universities across the country as government security apparatus tries to get a grip on the nationwide action. 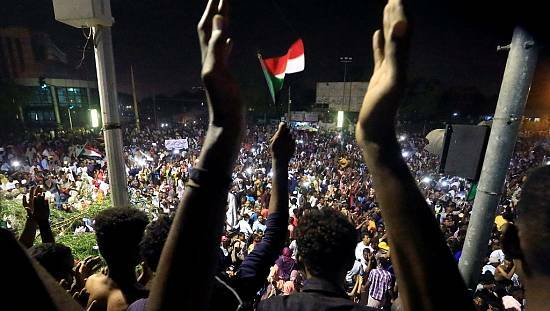 Despite being called by a Sudanese Professional Association, the country’s main opposition and other rights groups locally have joined in encouraging citizens to keep up the protests. News Analysis: Bashir vs. 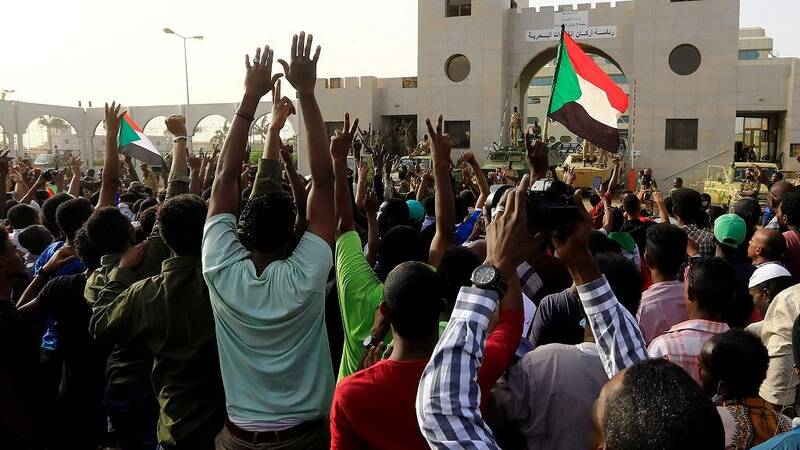 Protesters – What next for Sudan? Students in Sudan protesting today. Journalists – local and international, have been caught in the middle of the protests. Foreign reporters have been deported or ordered out over their coverage whiles local journalists have been arrested and allegedly tortured. Rolls of daily and weekly newspapers have also been confiscated. A number of varsity professors in the capital Khartoum were recently arrested for attempting to stage a protest. The government has routinely come out to report of deaths resulting from clashes. In the recent past, a fruit seller died of tear gas inhalation whiles a police was also stoned to death. Human rights groups have disputed official government figures of deaths, putting the figure at above 40 – twice as much as the government tally. A Sudanese fruit seller died Sunday in a hospital in Khartoum after inhaling tear gas fired by riot police during protests, according to his relatives and a committee of doctors linked to the anti-government protest movement. “He was taken to the hospital but the doctors could not save him, he died from tear gas inhalation,” said a doctor who requested anonymity for security reasons. 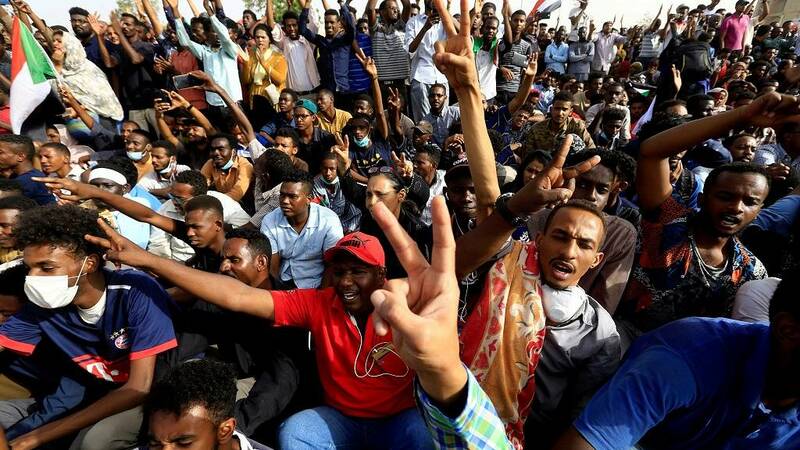 A crowd of protesters gathered in Khartoum in the Bahari district (north) chanting “Freedom, Peace and Justice”, the main slogan of the protest, but soon faced riot police who fired tear gas, witnesses have reported. A Sudanese policeman has died from his wounds after protesters threw stones at a police vehicle passing close to demonstrations in the capital Khartoum, a police spokesman said on Friday. The vehicle was passing the area by chance late on Thursday, the spokesman said, adding that a number of suspects had been arrested. The case brings the official death toll during protests that have spread since Dec. 19 across Sudan to 32, including three security personnel. An opposition-linked doctors’ syndicate said last week that 57 people had been killed in the protests. “The vehicle was pelted with stones, and they were police returning from training and had no link to the dispersal of the unrest,” said police spokesman Hashem Ali. Security forces dispersed protests close to the presidential palace in Khartoum on Thursday, rounding up several dozen of them and driving them away in pick up trucks, witnesses said. On Friday police fired teargas to disperse hundreds of people who protested after leaving a mosque in Omdurman, across the Nile from central Khartoum, witnesses said. Organizers of anti-government demonstrations in Sudan have reiterated their determination to continue mobilizing people until they overthrow the regime, excluding any dialogue with Sudanese President Omar al-Bashir. Driven by a deep economic crisis, Sudan has been shaken since December 19 by almost daily demonstrations triggered by the government’s decision to triple the price of bread and other essential commodities. Association of Sudanese Professionals said. Security forces fired teargas to disperse hundreds of protesters close to the Sudan’s presidential palace on Thursday, before plainclothes officers armed with plastic piping rounded up around 30 people, witnesses said. Police then chased activists through side streets as smaller rallies broke out across downtown Khartoum. Demonstrators chanted “Peaceful, peaceful against the thieves” and “Down, that’s it!” – their central demand for President Omar al-Bashir to step down. The detained protesters, most of them young men and women, were driven away in pickup trucks, witnesses said. A police spokesman could not be reached for comment. Union members, students, opposition activists and others, frustrated with economic hardships, have held near daily protests since Dec. 19, in the most sustained challenge to Bashir’s three decades in power. The president and his ruling National Congress Party have shown no sign of bowing to those demands and have blamed the unrest on unnamed foreign powers. He and senior officials have used more conciliatory language in recent weeks, promising to release detained demonstrators. But activists say hundreds remain in detention. An opposition-linked doctors’ syndicate said last week that 57 people have been killed in the protests. The government puts the death toll at 31, including two security personnel. Security forces have used teargas, stun grenades and live ammunition to break up demonstrations. The unrest has been fuelled by a deepening economic crisis marked by high inflation and shortages of bread, petrol and cash. The Sudanese pound fell to a record low on the black market on Thursday. The BBC is reporting about how the Sudanese government is employing special hit-squads to crackdown on anti-government protests that continue to spread across the country. 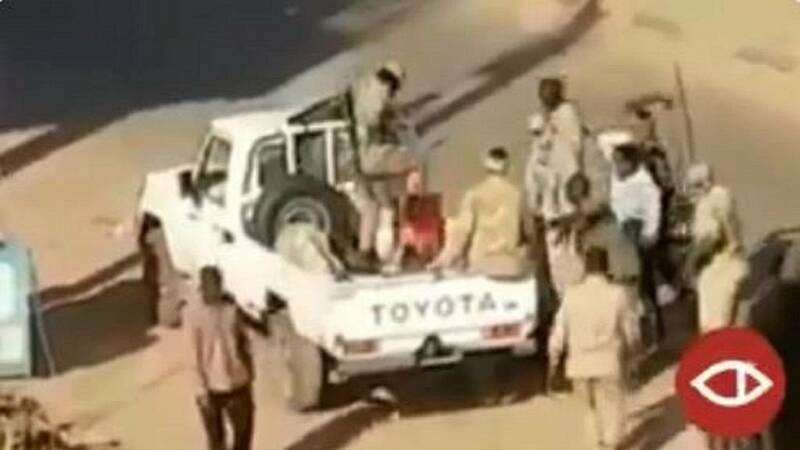 The BBC’s investigative wing, Africa Eye, pooled together videos shared by Sudanese caught in the protest whiles taking testimony of a victim of alleged state torture. The BBC says it analyzed over 200 videos over the past weeks which showed low-level thugs under orders from the feared intelligence outfit, the NISS. “Some of these protesters tell us about a secret and widely feared holding facility – The Fridge – where the cold is used as an instrument of torture,” the BBC report said. President Omar Al-Bashir remains adamant about calls to step down. According to him only polls not protests will lead him out. Sudanese are expected to elect a president in 2020. Security forces arrested 14 professors who were gathering to protest outside Khartoum University on Tuesday, witnesses said, as anti-government demonstrations neared the end of their eighth week. Doctors also rallied outside state and private hospitals in Sudan’s capital and other cities against the rule of President Omar al-Bashir, witnesses added. Photos posted online on Tuesday showed people holding banners marked with “Freedom, justice and peace”, “No to torturing and killing protesters” and other slogans. Rights groups say at least 45 people have been killed in the protests since they began on Dec. 19, while the government puts the death toll at 31. Bashir has blamed the unrest on unnamed foreign powers and showed no signs of bowing to demands to quit. But he and some senior officials have adopted a more conciliatory tone in recent weeks and promised to free detained protesters.